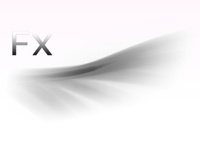 Flex is a part of Adobe AIR applications, an application which revolutionized the complexities of presentation and functionality. Flex application serves as the presentation tier which uses server side technologies like PHP, ASP.Net. It provides many useful ways to send / load data to and from server side components without reloading. Flex is a client side technology that is rendered by flash player. It has enabled content caching. Rich user experience. In-context interactivity due to video, audio, streaming and messaging components. Open source, standard-based framework. It can be integrated in front end for joomla,drupla, zen cart, x-cart etc.